Facebook can be one of the best sources of traffic for your Amazon product links, but it’s also one of the more tricky traffic sources to use. 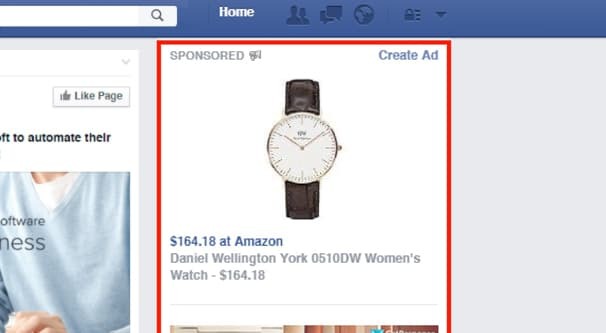 The reason is simple: Facebook doesn’t actually allow affiliate links as ad destinations. As we talked about in this post, Facebook doesn’t like users promoting affiliate links. They don’t really come out and state it anywhere in their community guidelines, but they do routinely reject ads because of affiliate links. It’s spotty enforcement, much like everything else with Facebook, but it exists. 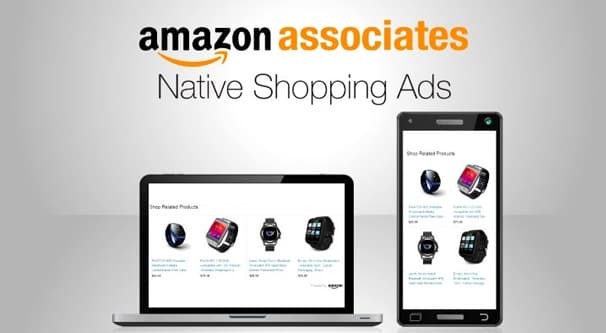 You can probably attempt to run ads directly to Amazon affiliate links, but chances are good you won’t get your money’s worth out of them. Either Facebook will remove them, reject them out of hand, or many Facebook users will ignore them. There’s also the small possibility that Facebook might decide to take action against your account if you try to circumvent their rules too often. Instead, why not boost the legitimacy of your ads, bypass Facebook’s filters, and promote an Amazon product all at once? There’s another situation to consider as well. Perhaps you’re not digging into affiliate marketing, and you’re actually selling through Amazon as a vendor. 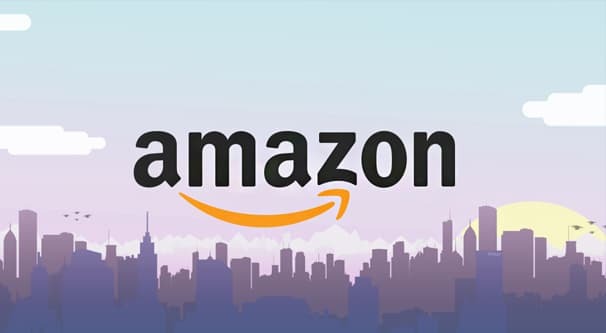 It’s extremely easy to sell items through Amazon, though as with all e-commerce platforms, there are a million little details to consider at all times. This situation is a little different than Amazon affiliate links. Facebook has no qualms about non-affiliate links to Amazon. It’s perfectly acceptable to run ads directly to a product page, but is it the ideal option? In fact, there are several scenarios for both product sales and affiliate links, and I’ll cover both of them. There’s a lot of overlap, so why not? The first option is to use Facebook to link directly to Amazon. You can do this both with affiliate links and with product links, but as I mentioned above, affiliate links are liable to be removed or rejected before they’re even allowed to run. Product links, on the other hand, work just fine. There are a few quirks to using direct to Amazon ads. For one thing, you should make sure your ad copy mentions that you’re selling via Amazon. Users don’t want to click an ad that they think is directing them to your site, only to find themselves on a contextless Amazon page. Even if Amazon is pretty good at selling, there’s a disconnect that will lose plenty of users. Secondly, you should not attempt to use Amazon images in your ad. Specifically, I’m talking about their logo or related symbols. Using these may seem like a trust factor, but in actuality, it’s probably in violation of both Facebook and Amazon’s various trademark usage policies. Since you’re not Jeff Bezos or an authorized Amazon representative, chances are pretty good you’re not authorized to use Amazon trademarks. Direct to Amazon ads are pretty good for one major reason, and that’s if you’re a small brand and don’t have much name recognition. In this world of giants like Amazon, WalMart, and assorted massive retailers, it’s difficult to build trust in a small site. This is especially true when a lot of smaller e-commerce sites just look like they’ll steal your credit card information and walk away. Amazon is a trusted retailer, whatever your position on their labor issues or politics, so you can sell through them without that loss of trust getting in the way. If you want to go all-in as an Amazon seller, you don’t even need to have a website of your own. You lose out on the ability to brand yourself, grow as a business you can sell easily later, or build SEO clout with a blog, but honestly, that kind of marketing isn’t for everyone. Sometimes all you need is an Amazon storefront and a stable of products to sell. There are issues with straight to Amazon ads, however. The two biggest problems, besides the issues I’ve already mentioned, are remarketing and tracking. If you want to track the people who click your ads, track who buys and who doesn’t, and remarket directly to the people who expressed interest but did not buy, well, you’re out of luck. You can do all of that if you use your own website, but you can’t with Amazon, because you can’t inject tracking code into your Amazon product page. There’s now way for you to confirm who clicked and who bought. You can gain some additional information from your own products by running affiliate links to your own store listings, but then you run into all of the problems with affiliate links as already mentioned. Instead, let’s look at some options you have if you’re interested in creating – or already have – a website for your brand. A generally better alternative is to use a custom landing page set up on your website. This filter page gives you a ton of advantages, for the low entry price of “needing a website”. If you’re already operating in a space with a website, that’s fine. If not, you don’t need to go far to set one up. Some simple web hosting, a WordPress installation with a handful of plugins, and a landing page manager are really all you need. You have a lot of benefit with using a landing page as a filtering mechanic. For one thing, you can install the Facebook tracking pixel on the landing page, which can give you a ton of additional information about the behaviors of the people who click through your ads. You can use this to remarket, you can use it for conversion tracking, and even for more advanced demographic harvesting. You also get a lot more customization for the user experience. 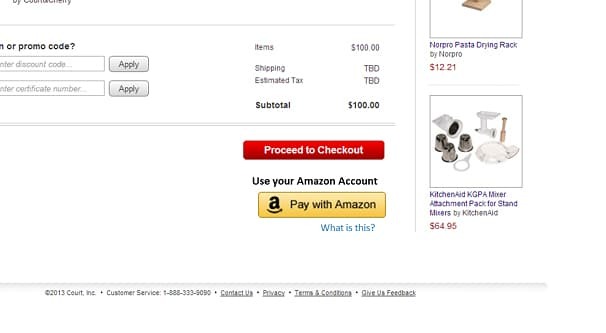 When you’re linking directly to Amazon, Amazon gets to determine the user experience. Sure, it’s your product page, but think about how many elements of an Amazon product page are working against you. There are other product recommendations, often including direct competitors. There are all of the additional user information fields that, in some cases, might be negative. There are innumerable distractions on the page that pull users away from converting. Amazon, after all, doesn’t care if you get the sale, they just care that they get the sale. It doesn’t matter what the user purchases, so long as it’s on Amazon. 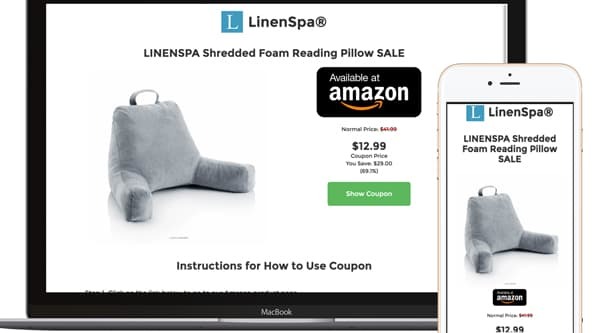 With a landing page, you do all of the work convincing the user that they want to buy your specific product, and send them to Amazon as the final step to converting. 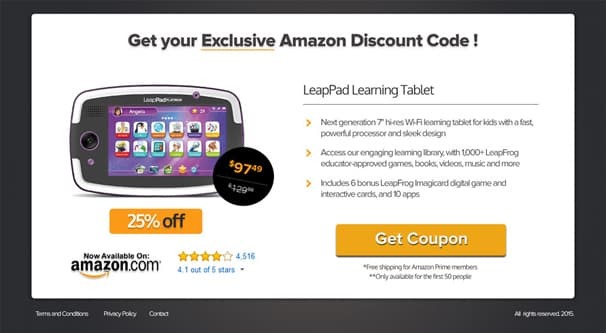 You can even embed the Amazon add to cart widget so the can add your product directly from your landing page. Another great advantage is the ability to tune your advertising and your landing page to each other. With an Amazon product page as your landing page, you don’t get to customize it to different ads. With landing pages, you can address different aspects of your product with different pages and different ads. Maybe you know your audience is divided into three groups of people, each with a different primary pain point they want to address. You can create three different ads, each pointing to a unique landing page, which works to convert those specific people. That’s not to say that this method is without drawbacks. For one thing, as I already mentioned, you do need to have your own website. You need more than just your landing pages, too, because some people are going to reach your landing page and want to explore more of your site. It’s worthwhile to have a basic homepage set up, a product directory if you have numerous products, and a basic blog. You don’t need a ton of blog posts, but you need something to keep it active. All of this isn’t a bad thing to have, but it is an additional investment. You need to take the time and spend the money to set up that kind of website. For some, this is a trivial afternoon of work and a couple of quick assignments to a freelancer hub. For others, this is a months-long project. So, really, it depends on the scale of what you’re trying to do, and your own personal skill set and pool of resources. You’ll notice that I didn’t distinguish between product links and affiliate links here, and that’s because there’s not really a difference in how they operate. Facebook ads leading to a landing page work the same regardless of what the call to action is on the landing page itself. The only difference is whether or not you’re selling products or just pitching a link. Another alternative you can use is to operate almost entirely out of a Facebook page. If you have or can grow a Facebook page, you can eliminate some of the need for a website of your own. The process works like this. Run a Facebook page, and create organic posts that go viral. Easier said than done, I know, but bear with me here. As you build traffic to these posts, you build an audience based on your content. In the description for the posts – since these are usually image or video posts – you can include your Amazon link. A link to an Amazon storefront, an Amazon product page, or even an Amazon affiliate link can work. Facebook doesn’t care or filter the organic description of non-paid posts in any way outside of basic community standard filters. So, uh, no promoting adult content or products, I suppose. 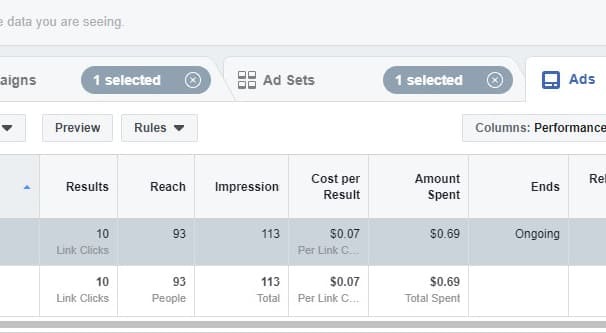 You can use Facebook ads here to boost your organic posts when they’re doing well enough to warrant it. This technically converts the posts into ads, but since the destination of the ad is just your post, there’s no violation if you’re using affiliate links. 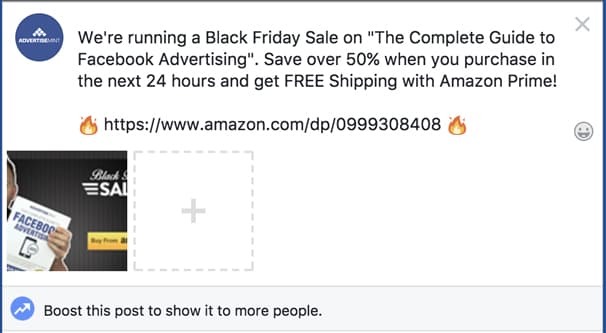 This is one of the most common ways small entrepreneurs use Facebook for Amazon promotion today. It’s proof that it works, for one thing, but it also means there’s a lot of competition. If you aren’t sure whether or not you can build an audience with your Facebook Memes About Toilets page or whatever, it will be rough going. You do potentially lose out on some of the benefits of targeted remarketing, the referrals to your website, and other such perks of the landing page method, but that’s fine. The overhead for running a Facebook page is so low that you don’t miss out on too much. You’re also not totally reliant on ads the way the other options go. Perhaps one of the biggest benefits to this method is the ability to expand later. You can always create your own website later, with a blog and a storefront or plenty of Amazon links, without jeopardizing or hurting your Facebook page in any way. In fact, if anything, it gives you more options for promotion. You can then invest into Facebook ads with the landing page method on top of all of your organic promotion. Regardless of which method you choose, you have plenty of options when it comes to promoting Amazon products on Facebook. All you need to do, really, is make sure you’re following basic marketing principles. Avoid breaking the rules of the platform, optimize your ads over time, run split tests whenever possible, and so on. Eventually, you’ll be able to build something worthwhile.